NO SMOKING ALLOWEDFilling aerial bombs with the stuff that scatters men and munitions all over a forty-acre lot. 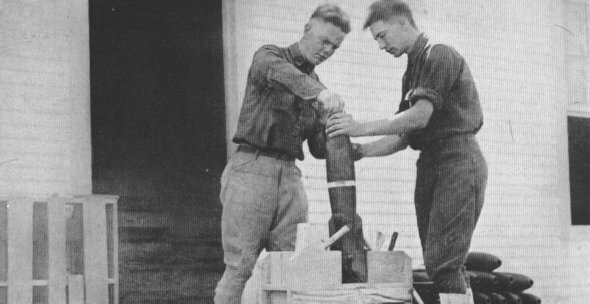 American aviators conducted about 150 raids, in which they dropped over 275,000 pounds of high explosives on the enemy objectives. 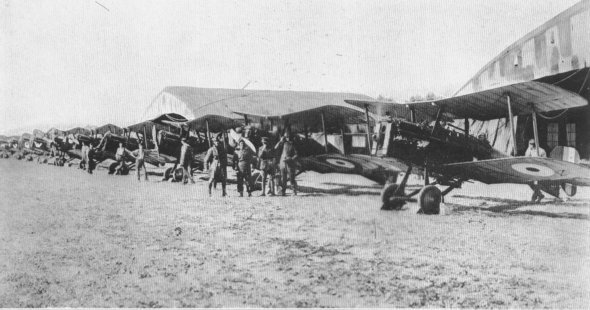 CONTACTEleven single-seater flying planes ready to start on an offensive patrol from Oudezeele at 4:15 P. M., Aug 18, 1918, under command of 1st Lt. Reed. American pilots spent 35,849 hours in the air over the enemy lines.